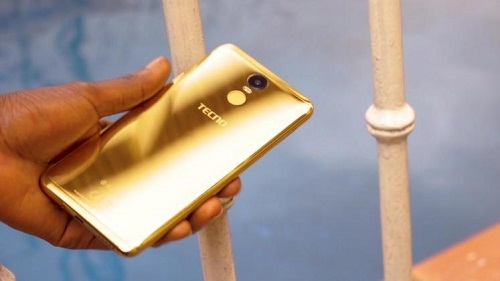 This is an all time amazing device from TECNO made with 75% Gold plated design cover, couple with the fact that it comes with huge battery capacity. Asides from its classy look and feel, the Pouvoir 2 Gold edition is a 5000mAH battery powered device, runs on Android 8.1 Oreo OS and also supports 4G LTE connectivity, has 3GB of RAM, 16GB internal storage and so much more. TECNO Pouvoir 2 Pro 18K Gold price will be communicated once it ships based on the local market rates. We are not talking about the processor here, we are talking about the 18Karat gold plated design… this is the selling point. do you even know how much 18karat gold cost? I8k gold without a worthy processor is rubbish. Hmmmm..lets Wait for the price. Hello oga, one of my sister bought tecno spark 2 and the come with no gallery,no file manager and other things…is it the normal phone. Good looking. The Golden design is very attractive, Similar to s7 and note 5. People will definitely go for it. forget gold-plated, I will not go for any tecno product again. The rom is a NO for me. How in the world will a phone that carries a 3gb of ram have 16gb internal memory? It’s rubbish! 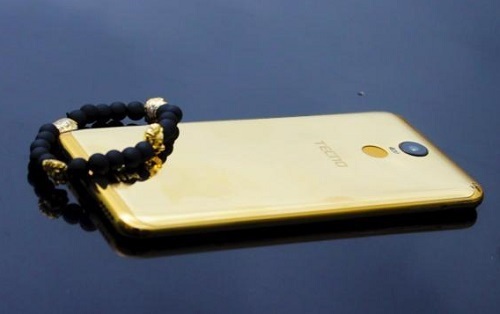 18k gold, if this phone sells at the price of some flagships, I don’t think much people will send Tecno o.
I no bamdu the phone. if na only me, Tecno will not sell.. will i chop 18karat gold? give me good spec device, if you like use waterproof cover am. 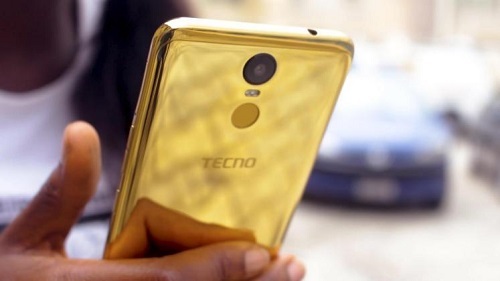 Tecno would never produce a phone with a cover that is even 50% gold, not even 30% gold! It’s a metallic back that has been electroplated(sprayed with gold liquid of 18k). The back is not made of 18k gold, it is sprayed with such. It’s no the first of its kind though. People have customised their phone to have 90% pure 20k gold case. That is money speaking! This la7 gold is just for the flashy look!